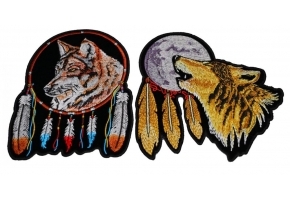 Brown Wolf Patch measures 4x4.5 inches and is Embroidered in Black / Brown. 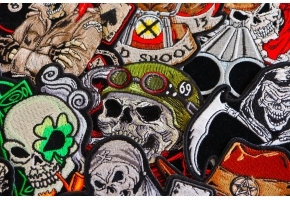 The Small can be sewn on or ironed on to clothing. The Brown Wolf Patch features plastic iron on backing and clean laser cut embroidered borders. 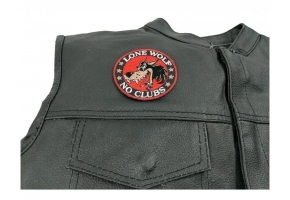 This Wolf Patch is also available in Gray embroidery as well. We've made it two different colors after the popularity of the grey one. Don't forget comes as a large back patch too! Lions and tigers can be tamed but a wolf can never be tamed. The fire and the blaze that you see in the eyes of this animal are unbeatable and their pack means a lot to them. 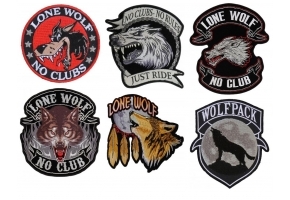 So, if you are also one of those famous wolves of your group then, getting this Brown Wolf Patch stitched on your jacket or vest can help you create your own impression. 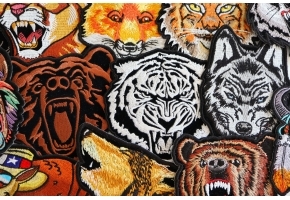 Stand out from the crowd as a leader but identify yourself as one amongst the pack with this lovely patch on. Show people that you always want the best and would never settle for anything lesser!